This post contain affiliate links. When you click through and make a purchase, SewHere receives a commission at no cost to you. This blog post is an updated and enhanced version of the show notes for our podcast episode “Buttonholes”, originally published April 7, 2017. All buttonhole information is still current…but Mallory isn’t still pregnant with the baby mentioned in this post- baby Jerome is a fierce toddler at the time of this blog’s publication. Machine-sewn buttonholes can be frustrating. We often see questions or just outright gripes about them in our group. 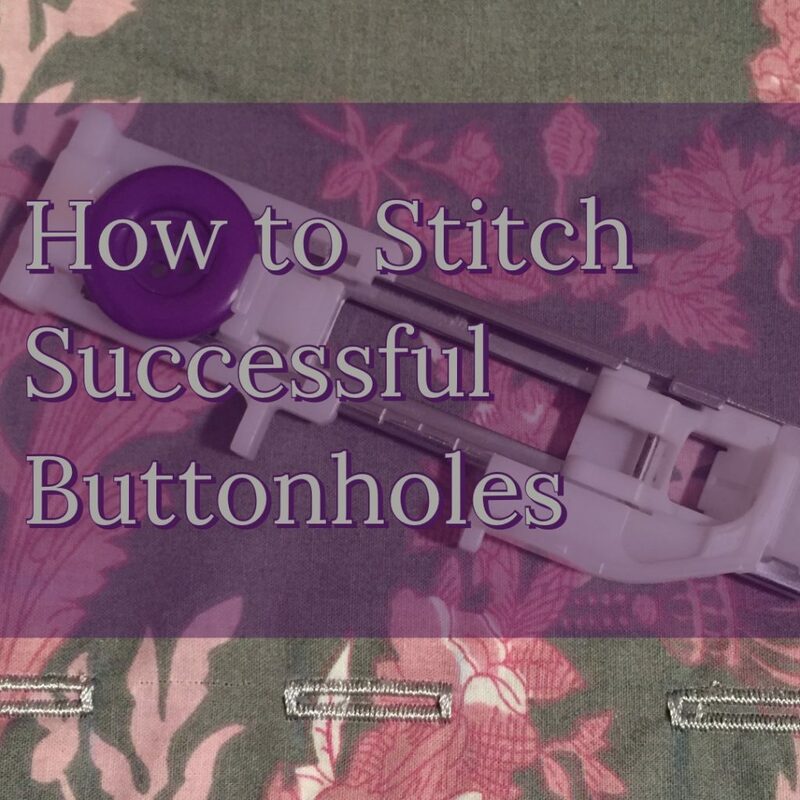 Have you ever wondered how to get super smooth and lovely buttonholes? 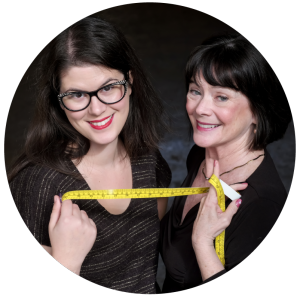 Are you tired of feeling scared to stitch those buttonholes on your beautifully made and finished garment for fear of ruining it? Well fear no more because this episode is all about buttonholes-specifically techniques for getting perfect looking, placed, and executed buttonholes. A buttonhole is made up of two parallel “beads” that are secured by two bar tacks at either end of the buttonhole. Beads can be made up of a satin stitch (super short zig-zag stitch), longer zig-zag stitch, or even a honey-comb stitch (used often for knits). Bar tacks are basically Zig Zag stitch in place. Different machines and different presser feet allow for different levels of customization of your buttonholes. some machines allow you to define bead length and width, or change the width of the space between the beads. Some machines allow you to “save” buttonholes for future use as well. The most old-fashioned or “original” buttonhole foot looks like a regular zig-zag foot, but has two deep, parallel grooves on the bottom for the “beads” of the buttonholes. The original style of buttonhole feet allow you to make buttonholes of unrestricted length. Long buttonholes can be used for creating channels for belts or harnesses, or large buttonholes that are use to hang curtains, etc. “Modern” buttonhole feet look like rectangles with a slider on them. The slider helps to measure the button and bumpers not he buttonhole foot tell an electronic or computerized machine when to switch to a different “step” of the buttonhole making process. “Buttonholers” or buttonhole attachments can look intimidating…kind of like a can-opener that should go on your machine. Make sure to read your owners manual on the operation of your specific buttonholer, and then follow all of the tips in these show notes to make things run as smoothly as possible. Your buttonhole should easily accommodate your button and not be too tight or too loose. Your machine’s owner’s manual should have instruction son how to appropriately measure your button of choice and then how to set or mark your buttonhole. Newer buttonhole feet allow you to measure buttonholes in the back of the foot. Never assume that this measurement is going to be absolutely perfect. Always test the buttonhole. Using a button with more height or using a thicker fabric might effect how the button moves through the finished buttonhole. Make a sample and try to put your button through the buttonhole. Decorative Buttons with height might required more space than expected. Bump up the length of your buttonhole by making it a few millimeters longer next time you mark it, or using a toothpick as a “shim” when inserting your buttonhole into the foot to increase length. Stitch and test again. You’ll be glad you did. Buttonholes that are too small with degrade with wear and use. Buttonholes that are too large won’t be secure enough when you wear your garment! On 4 step buttonholes, make sure the needle is out of the fabric when you switch between steps. 4 step buttonholes are most common on mechanical, non-computerized machines. There’s nothing inherently lower quality about a 4-step buttonhole, but it takes a bit more attention to make a good buttonhole and not break a needle. 4-step buttonholes are found more often on basic models that don’t have as strong of motors, while the 1-step buttonhole will be found on machines with DC motors (that will go through 7 layers of denim, no problem)- so some people might equate the 1-step buttonhole with a higher quality product. Understanding the anatomy of the buttonhole and getting a feel for your machine will help you be successful. Making sure the needle is up and switching between steps on a few sample buttonholes should give you more confidence in this process. Sometime it can take a bit of brute strength to switch between buttonhole steps- which many stitchers aren’t used to! Machines with 1-step buttonholes generally don’t have a ton of buttonhole style options, but you can most likely change the stitch length, depending on your project or aesthetic preferences. A buttonhole on a woven fabric will be made up of tightly spaced zig zag stitches and bar tacks (which is a zig zag in place). A buttonhole for a knit might include a more open zig zag or maybe even a honeycomb stitch on the beads of the buttonhole. This is not because you want them to stretch- it’s because you don’t want to overburden the knit fabric with too dense of a stitch on the bead of the buttonhole. In fact, it’s a good idea to find a way to interface your buttonholes on knits permanently. Zede recommends cotton organdy or some kind of woven fabric. Sometimes you can completely interface a placket on a knit button-up shirt, or even make it out of a woven for a shortcut to easy stitching. Exactly duplicate the buttonhole situation when you test your buttonhole. 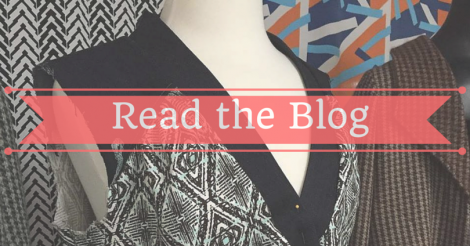 This might mean you have to stitch a test waistband or placket in order to duplicate the layers of fabric or the uneven surface that your machine will encounter while stitching the buttonhole. While this seems time consuming, it’s totally worth it. Buttonholes can be difficult to remove after they’re stitched- but it is possible! We never use the buttonhole guide included with patterns like button-up shirts, shirt-dresses, etc. Instead, we construct the garment, and then put it on our bodies in order to define where our buttonholes should be placed. Always wear the undergarments you plan to wear with your garment when fitting and placing buttonholes (or doing anything else). With your garment on your body, place a pin or mark at the bust- the largest part of your chest- this is where the most stress will be. Then, decide how many buttons you want to include in your garment. Not all of your buttons may be placed the same distance apart, and that’s ok. Feel free to sit down and move around in order to define other stress points (perhaps around the belly) and place buttons there, then distribute buttons appropriately between those spots. You can also incorporate invisible snaps between your buttons to ensure your placket lays flat. Interfacing is a product or fabric that you add to your project that stays there forever. It gives your fabric more “oomph” and helps it to withstand wear or especially dense stitching like topstitching, or say, a buttonhole. Most garment patterns will instruct you to interface plackets or waistbands where buttons and buttholes with be sewn. This is so your garment can stand up to the extra stress. However, we prefer not to use “interfacing products”. Instead, we use Cotton Organdy or some other actual fabric that compliments our project. You could use quilting cotton or another stable woven fabric, or even an extra layer of whatever your garment is made of. 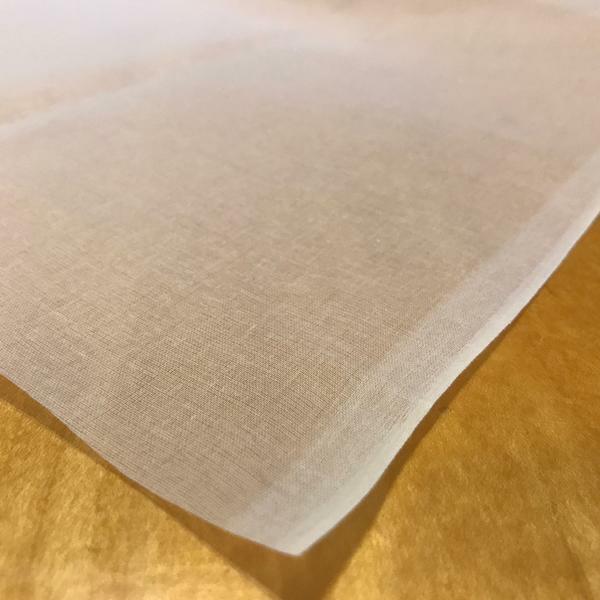 Avoiding “interfacing products” means we don’t have to deal with fusible interfacing that becomes unfused after years of wear and care, or interfacing that tears away from our seams and gets balled up in our otherwise perfect plackets and collars. We love Cotton Organdy and sell a high quality version in our online shop. Cotton Organdy should not be prewashed, as it has been treated in the manufacturing process to be stiff. We you wash a garment interfaced with cotton organdy, you may need to press after washing to restore crispness. Every single time we make a buttonhole. we use tear-away stabilizer between the project and the feed dogs of the machine. Tear Away stabilizer does not replace interfacing. An interfacing will stay with your project forever, but tear-away stabilizer will-you guessed it- tear away after you’re finished stitching. This is probably the biggest revelation most people have when we talk to them about buttonhole, and it will save you so much time and grief. The stabilizer acts almost as a lubricant to feed your fabric evenly as your machine creates a buttonhole. 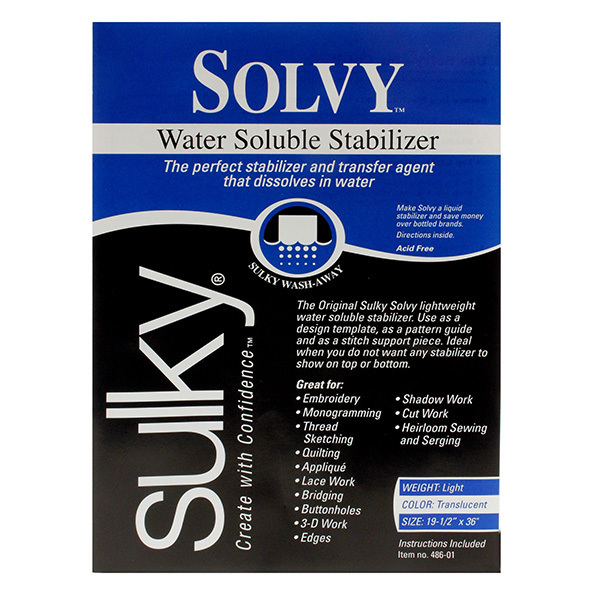 You can use just about any Tear Away Stabilizer, or even printer paper (don’t use tissue paper), to ease your project through your machine during the buttonhole making process, but we recommend Sulky Totally Stable Tear Away stabilizer. It is lightweight, fusible (an optional feature in this case), and tears away very cleanly- especially from a dense buttonhole. You’ll only use small pieces to stabilize a buttonhole, and I normally cut off a strip form my big roll and bring it to my machine with me in order to do a placket’s worth of buttonholes. We keep the scraps close by for single buttonholes. 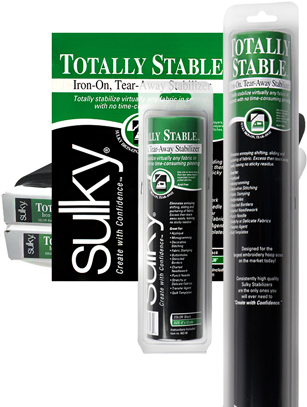 If you don’t own any tear-away stabilizer, order a roll of this stuff, you’ll be glad to have it on hand! If you have a fabric with a nap or pile- like velvet or corduroy, use a wash-away stabilizer on top of your buttonholes to keep the pile flat and make your stitches appear solid when you stitch your buttonhole. Make sure to buy a thinner wash-away stabilizer, one that might be called a “topping” instead of a thick wash away that might be used for stitching free-standing lace. Sulky “Solvy” is a good choice! A Buttonhole cutter is an invaluable tool for opening buttonholes. While many machine manuals will instruct you to use a seam ripper and to protect he ends of your buttonholes with straight pins, it’s a risky business to open buttonholes like that. The Buttonhole Cutter is an almost 100% accident-proof way to open your buttonholes. We highly recommend this product- and it should last you years and years, plus provide worry-free buttonhole opening assistance. Most of the time, a durable machine embroidery thread is both structurally and aesthetically appropriate for your project. If your garment and your buttonhole are the “right size”, your buttonhole’s life should be relatively low stress. Plus, the density of the stitching makes the buttonhole strong in itself. However, using thick thread while stitching a densely structured buttonhole can cause grief in the form of thread build up and ugly, bumpy stitches. Instead of the construction thread you used for your seams, use thinner machine embroidery thread. You’ll get a wide variety of colors to match or coordinate with your projects and have a much smoother time of stitching your buttonhole. We recommend Floriani Polyester embroidery thread- it’s color fast and easy to use! Use machine embroidery thread in your bobbin, or a lightweight pre-wound bobbin used in machine embroidery. Getting a collection like this can help build your color library. Another option is when you go to shop for embroidery threads, start slowly building your array of colors by choosing a few of your favorites- you’re bound to use them at some point! Machine embroidery thread is also great for topstitching and decorative serging. Sometimes buttonholes aren’t the best choice. Certain fabrics don’t lend themselves to buttonholes- like dot-sequin! Some large coats or couture jackets include buttons sewn onto the coat that are backed with snaps. You get the look of your gorgeous button and a flat-laying closure without the stress or possible distortion of a buttonhole. We just closed our brick and mortar store, and it almost killed us! Zede struggles with a chronic illness, so big projects can wipe her out. We don’t share about this a lot, because Zede doesn’t like to be viewed as “ill”. Also- Mallory is PREGNANT! Needless to say, everyone’s a bit exhausted and we get a bit slap-happy at the beginning of the episode. When selling fixtures, we had no idea how she would sell completely unique and somewhat useless thread displays. However, John came to the rescue and offered to buy all of the strange thread fixtures- wahoo! It’s been kind of nice to not go to the store each day. We’ve been unpacking and working completely from home- including podcasting from home in a permanent set up. We brought home our 30 foot lighted sign- where should we put it? When we got to the end of packing up and cleaning, a friendly bat showed up to freak us all out! Ture or false? “All prime numbers are odd”….leave your answer in the comments. False. 2 is prime- and is the only even number that is. Thank you for the helpful info. Any tips for sewing buttonholes on corduroy? My machine’s foot won’t move the fabric at all or, if it does, it completes a third of the buttonhole then gets all knotted up. Have you tried putting tear away underneath the fabric and water soluble topping on top? This can help with these types of fabrics! My name is Stan Jones out of Rochester, NY. I listen to you guys all day everyday on my cell phone at my desk and love what you’re doing to help us avid sewers! When I get home after work, I watch your videos, take notes on the videos and podcasts, and compare them to my sewing textbooks and patterns – LOL! It really helps and is motivating to have someone talking about the reality aspects of sewing for a change. For example, taking measurements over and over again to ensure accuracy with the appropriate amount of ease in the garment! Or, catching yourself sewing the same mistake over again! Thanks to Zede, I’ve recently purchased a combo serger-coverstitch-chainstitch machine and love it! Go 3TN!